A washed up TV star must reprise his most famous role to stop a killer. British comedy duo Julian Barratt and Simon Farnaby, best known for their offbeat cult TV series The Mighty Boosh, are the writers responsible for this story of a washed up actor returning to his most famous role in less than ideal circumstances. Anyone expecting the sort of oddball surrealism the pair have become known for will be disappointed by what is a very mainstream comedy that ventures in territory previously explored by the Austin Powers and Alan Partridge franchises, producing tired and derivative results. Barratt is Richard Thorncroft, once the star of 'Mindhorn' - an '80s cult sci-fi show that appears to have been a bonkers blend of Doctor Who and Bergerac, with the titular hero fighting crime on the Isle of Man thanks to a robotic eye that doubles as a lie detector - but now living in a cramped bedsit and eking out a life appearing in low-rent commercials. 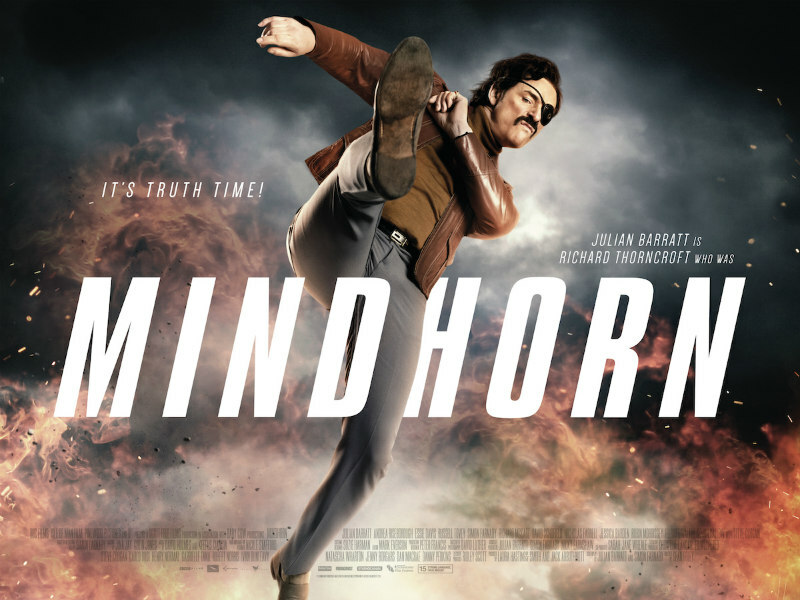 When a young woman is murdered on the Isle of Man, the local police receive a phone call from the killer demanding to speak with Mindhorn - not Thorncroft the actor, but Mindhorn the character, who he is convinced is real. This gives Thorncroft the chance to finally reprise his iconic role as he heads to the Isle of Man to aid the cops in nabbing the murderer. Things don't work out quite so easily, as Thorncroft hampers the police at every turn and attempts to rekindle a romance with his glamorous former co-star Patricia Deville (Essie Davis). In the 1970s the once great UK film industry all but collapsed and spent much of the decade surviving on awful big screen adaptations of TV sitcoms like On the Buses, George and Mildred and Are You Being Served?. Forced to fill 90 minutes rather than 30, they inevitably featured plots stretched to breaking point, and usually involved the characters becoming embroiled in some sort of criminal espionage. Mindhorn seems to be self-consciously parodying this, as did the recent Alan Partridge movie, but ironically it suffers from the exact same problems as those '70s turkeys. For its first 20 minutes or so, there's fun to be had with Mindhorn. It opens with its strongest material, a behind the scenes segment from the '80s set of Mindhorn the show that perfectly captures the cheap as chips yet cheerfully charming quality of classic British genre TV. We then follow Thorncroft through the mundanity of his day, with cameos by the likes of Kenneth Branagh and Simon Callow, and while this all feels a little too close to the work of Ricky Gervais, there are giggles to be had. It's when the plot kicks in that Mindhorn falls apart, ditching the humour in favour of a half-assed thriller with some very dodgy gender politics (Thorncroft has no redeeming qualities yet the film wants us to believe he deserves to be reunited with Patricia regardless) and the sort of offensive European stereotypes that play so well to the Little England crowd. 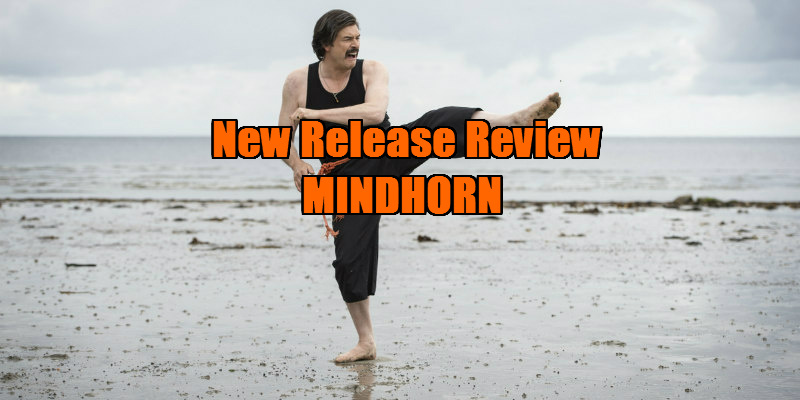 After an opening that offers little in the way of innovation yet provides mild amusement nonetheless, Mindhorn spends its final hour wading through comedic quicksand, and you'll be left wishing you could watch an episode of Mindhorn the TV show, which looks like a riot, rather than Mindhorn the movie. Mindhorn is in UK/ROI cinemas May 5th.